The man is a bona-fide whack job. “Five million green energy jobs” means throwing billions of dollars down the drain for failed green companies run by his campaign supporters. McKibben is flying all over the country generating vast amounts of CO2 and telling other people that they can’t generate any. “If we’re going to stop climate change, we don’t need to just cut our carbon emissions a little bit — we need to cut them down to zero,” he added. 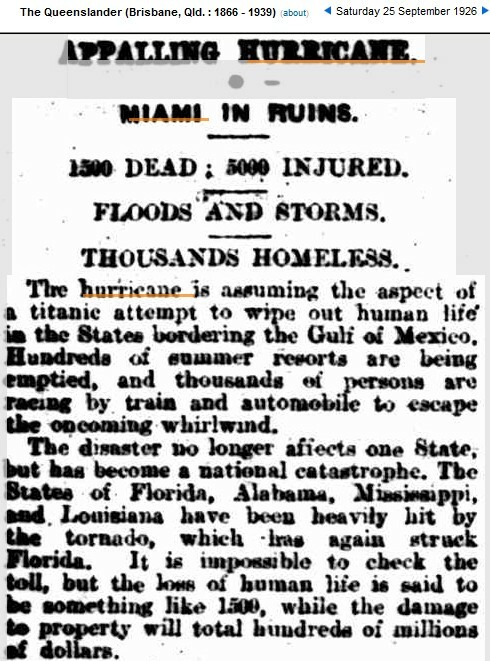 If we do cut our carbon emissions to zero, we can stabilize the climate to what it was like in the 1920s. Academic Robert Manne knew evil human beings were responsible for catastrophic global warming 25 years ago. OVER the past 15 years air temperatures at the Earth’s surface have been flat while greenhouse-gas emissions have continued to soar. In other words, there has been no atmospheric global warming since 1998 despite a substantial increases in green-house gas emissions. 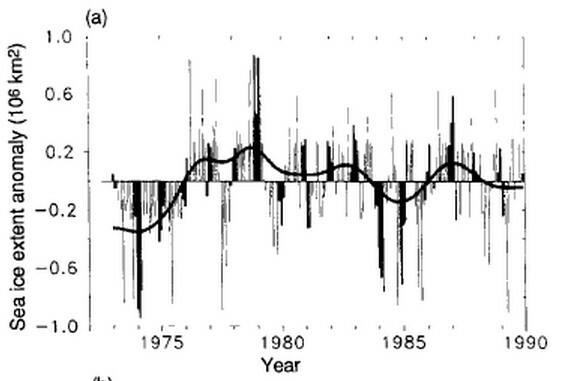 A US Government NOAA report found the summer drought of 2012 was not caused by manne-made global warming but by natural variations in the weather. 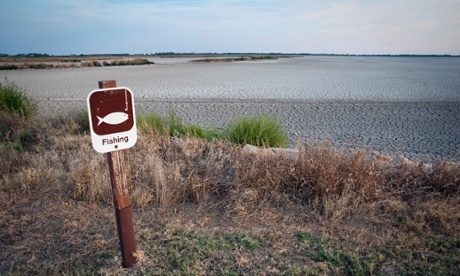 Manne’s emotional lead photo of a drought ravaged, dried-up marsh thus rendered alarmist propaganda. 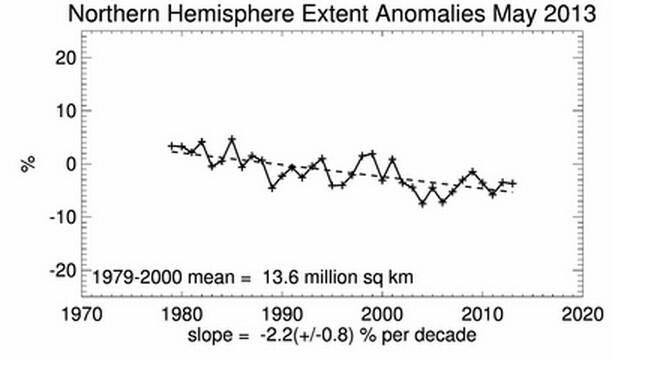 The NOAA study was released in March 2013. Manne’s article published 22 July 2013. Plenty of opportunity for due diligence. A second NOAA paper submitted to the American Meteorological Society also found the US record heat-wave of 2012 was due to natural variation and not caused by manne-made carbon dioxide emissions. 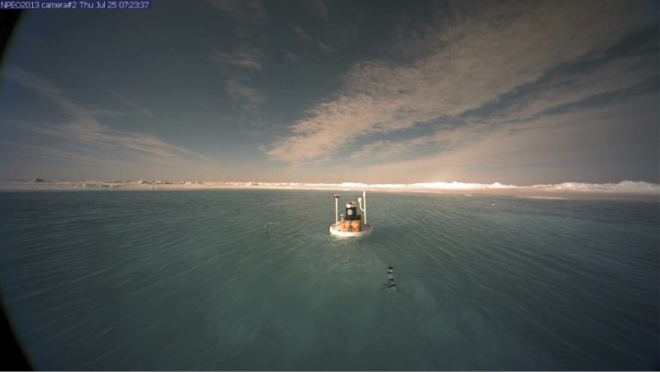 The pictures are dramatic — a camera at the North Pole Environmental Observatory, sitting in the middle of what appears to be either a lake or open ocean, at the height of the summer sea ice melt season. 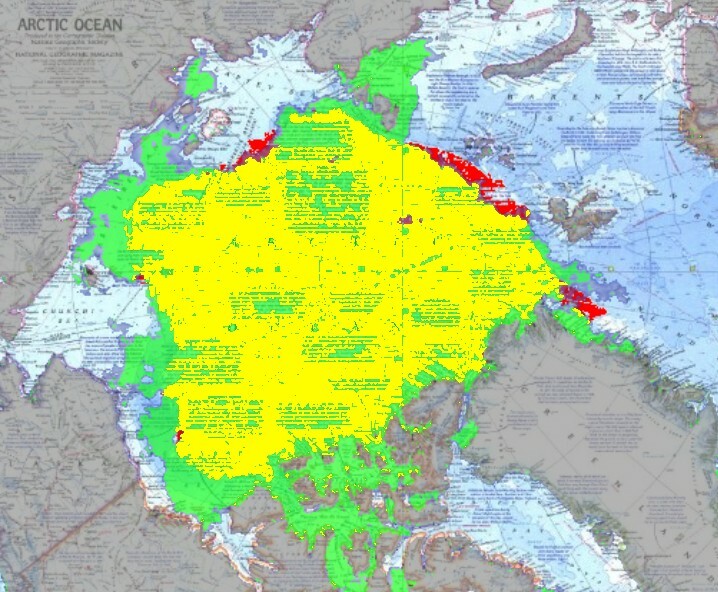 Set against the backdrop of the precipitous decline in sea ice cover in recent decades due in large part to global warming, this would seem to be yet another alarming sign of Arctic climate change. 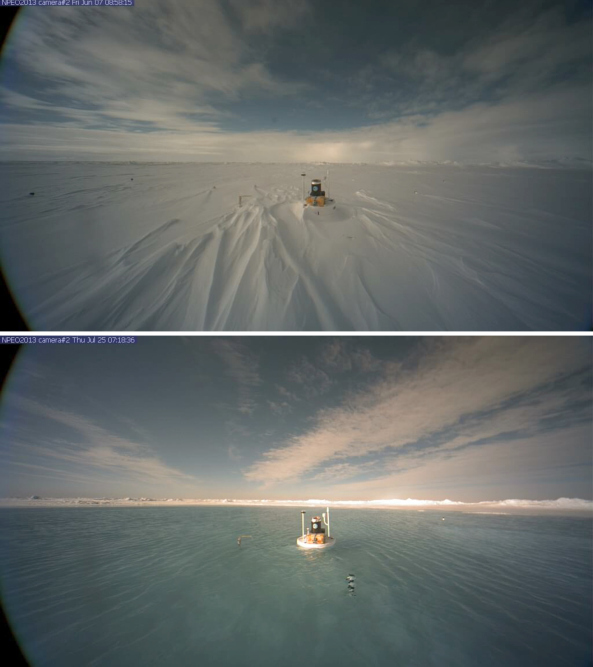 Image from one of the North Pole Environmental Observatory webcams, taken on Thursday, July 25.
Credit: NSF’s North Pole Environmental Observatory. 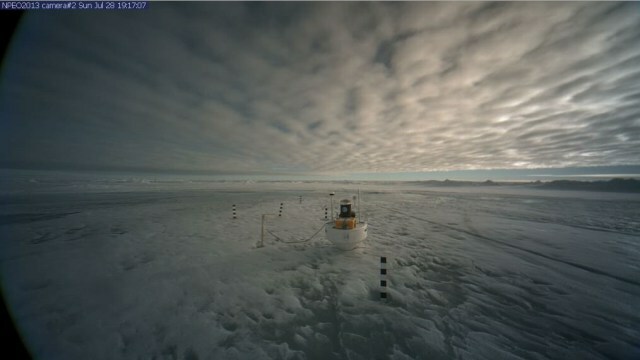 Ice at the North Pole not so thick ~ Watts Up With That? 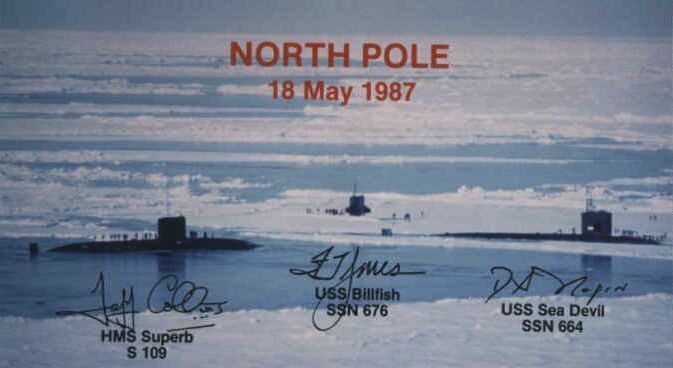 What would NSIDC and our media make of a photo like this if released by the NAVY today? 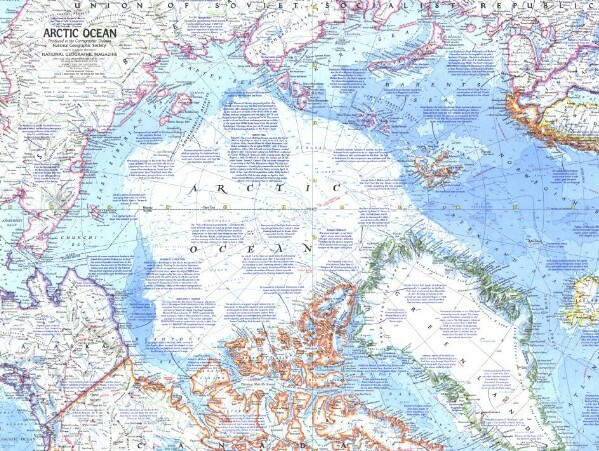 Would we see headlines like “NORTH POLE NOW OPEN WATER”? Or maybe “Global warming melts North Pole”? Perhaps we would. sensationalism is all the rage these days. If it melts it makes headlines. The North Pole is not static, ice varies significantly. 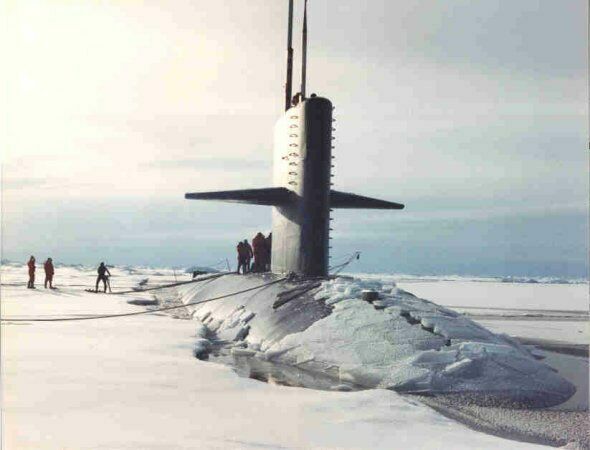 The Arctic is not static either. Variance is the norm. 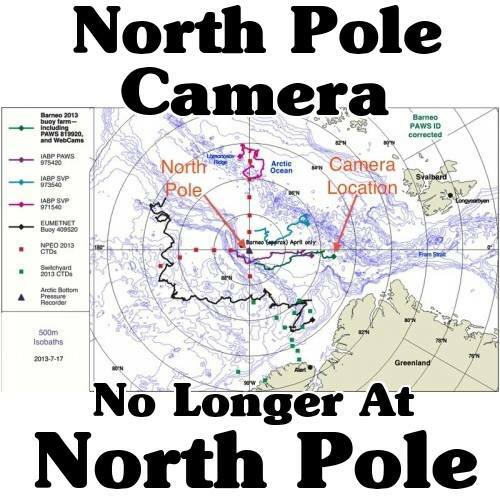 Santa’s workshop at the North Pole is not under water, despite recent reports. 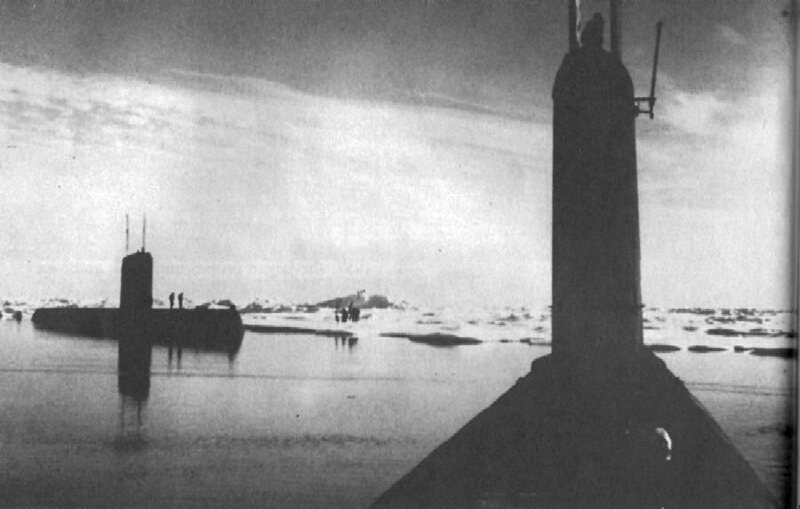 A dramatic image captured by a University of Washington monitoring buoy reportedly shows a lake at the North Pole. But Santa doesn’t yet need to buy a snorkel. 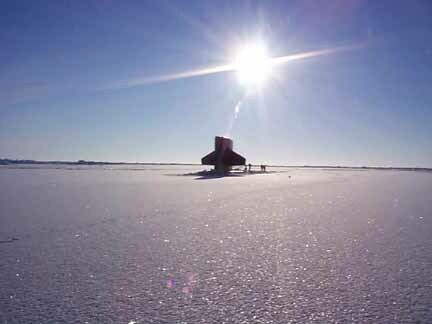 NSF North Pole Environmental Observatory The view from webcam 2 on July 26 shows open water on the ice. 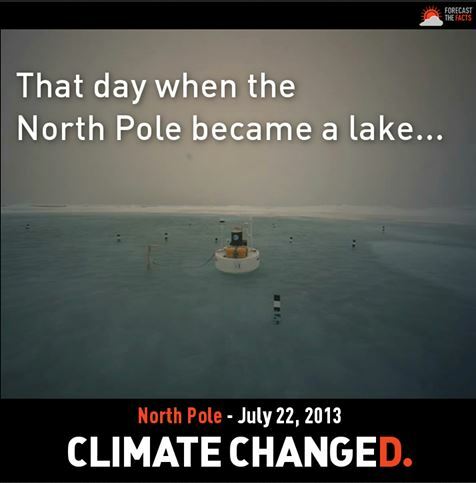 Remember this Associated Press before and after image that purportedly showed the North Pole turning into a lake due to “global warming”? Note that WUWT published on why this imagery has no scientific merit, and the principal scientist issued a statement saying that it wasn’t anything out of the ordinary. Will Brad Johnson and “Forecast the Facts” issue a retraction? Doubtful, because to do so would highlight their own stupidity disguised as paid agenda.